Small Mammals: Common Surgical Procedures of Rodents, Ferrets, Hedgehogs, and Sugar Gliders. Miwa Y, Sladky KK. Vet Clin North Am Exot Anim Pract. 2016. 19(1):205-244. Histological and Immunohistochemical Features of Histiocytic Sarcoma in Four Domestic Ferrets (Mustela putorius furo). Atigan Thongtharb, Kazuyuki Uchida, James K Chambers, Yasutsugu Miwa, Yousuke Murata, and Hiroyuki Nakayama. J Vet Diagnostic Investigation 2015. Antigenic differences in the nucleocapsid protein of a novel ferret coronavirus serotype. Minami S, Terada Y, Shimoda H, Takizawa M, Onuma M, Ota A, Ota Y, Akabane Y, Tamukai K, Watanabe K, Naganuma Y, Kanagawa E, Nakamura K, Ohashi M, Takami Y, Miwa Y, Tanoue T, Ohwaki M, Ohta J, Une Y. Journal of General Virology 2015. どう診る　こんな動物　ハリネズミ・フクロモモンガHow to consult those exotic animals? Hedgehog & Sugar Glider　動物臨床医学, 2015. Herpes simplex virus type 1 infection in two pet marmosets in Japan. Imura K, Chambers JK, Uchida K, Nomura S, Suzuki S, Nakayama H, Miwa Y. J Vet Med Sci. 2014, 76(12). 1667-1670. Mycobacteriosis in a Domestic Ferret (Mustela putorius furo). Nakata M, Miwa Y, Tsuboi M, UchidaK. J Vet Med Sci. 2014.76（5）：705‐709. Astrocytoma in an African Hedgehog (Atelerix albiventris) Suspected Wobbly Hedgehog Syndrome. Nakata M, Miwa Y, Itou T, Uchida K, Nakayama H, Sakai T. J Vet Med Sci. 2011. 28.73(10):1333-5. 2011. Clinical and Pathologic Features of Neuronal Ceroid-Lipofuscinosis in a Ferret(Mustela putorius furo). 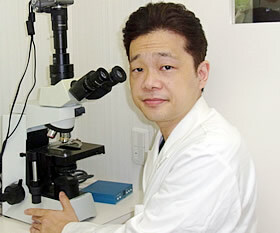 Nibe K, Miwa Y, Matsunaga S, Chambers JK, Uetsuka K, Nakayama H, Uchida K. Veterinary Pathology. 2011.48(6):1185-1189. Spontaneous cutaneous mast cell tumor with lymph node metastasis in a Richardson's ground squirrel (Spermophilus richardsonii). He XJ, Uchida K, Tochitani T, Uetsuka K, Miwa Y, Nakayama H.　J Vet Diagn Invest. 2009,21(1):156-9. 都内一病院におけるフェレット198症例の疾病状況　三輪　恭嗣、保阪盛次、佐々木　伸雄　日本獣医師会雑誌,2009.62(12):947-951. Neoplasitic diseases in ferrets of Japan: A questionnaire study for 2000 to 2005. Yasutsugu MIWA, Asuka KUROSAWA, Hiroyuki OGAWA, Yukihiro NAKAYAMA, Hiroshi SASAI, Nobuo SASAKI, JVMS, 2009.71(4).397-402. 播種性特発性筋膜炎(Disseminated　Idiopathic　Myofasciitis)が疑われたフェレットの1例　畑　里美、三輪　恭嗣、針谷すみ子　エキゾチックペット研究会誌　2007. Apocrine adenocarcinoma of possible sweat gland origin in a male rabbit. Yasutsugu Miwa, Manabu Mochiduki, Hiroyuki Nakayama, Naoko Shibuya, Hiroyuki Ogawa, Nobuo Sasaki　JSAP 2006. 47. 541-544. ヨツユビハリネズミのリンパ腫　伊村啓、坪井誠也、三輪恭嗣　エキゾチック診療 エキゾチック診療 2013,5(4):68-76. プレーリードッグのリンパ腫　三輪恭嗣、坪井誠也　エキゾチック診療 エキゾチック診療 2013,5(4):59-67. AAV/AEMV/ARAV Conference & Expoレポート　三輪恭嗣、真田靖幸、水上昌也、田向健一、小嶋篤史、牧野幾子、滝沢直樹　エキゾチック診療　2012,4（1）：110-117. ウサギの子宮腫瘍　子宮腺癌の典型的な1例と非典型的な1例　中田真琴　エキゾチック動物診療　2011,3（1）:26-31. エキゾチックアニマルX線検査のツボ（後編）フェレット編　フェレットの胸部および腹部X線読影術　Companion Animal Practice. 2009,24(12):8-19. ウサギの皮膚疾患の検査法　飯塚春奈、三輪恭嗣　Veterinary Medicine in Exotic Companions　2009. げっ歯類の骨折治療　三輪恭嗣　Veterinary Medicine in Exotic Companions　2009. サル類の食餌管理　三輪　恭嗣　Veterinary Medicine in Exotic Companions　2008.6(2):74-79. モモンガの食餌管理　三輪　恭嗣　Veterinary Medicine in Exotic Companions　2008.6(2):62-67. ハリネズミの食餌管理　三輪　恭嗣　Veterinary Medicine in Exotic Companions　2008.6(2):68-73. 爬虫類の泌尿生殖器の解剖と生理　三輪　恭嗣　Veterinary Medicine in Exotic Companions 2(4) 2004. pp6-14. 学会・セミナーレポート　ICE 2003 Veterinary Medicine in Exotic Companions 1(4) 2003. pp56-58. モルモット（テンジクネズミ）にみられた膀胱炎を伴う尿石症の2例　三輪　恭嗣、斉藤　久美子　Companion animal practice magazine 2003. 163. 61-64. ハムスターの内科と外科－パートⅡ：臨床評価と治療（Veterinary Medicine in Exotic Companions 2003.1(4):46-52. 獣医師が知っておくべきウサギに関する知識（Veterinary Medicine in Exotic Companions 2003.1(3):56-61. ハムスターの解剖学と生理学（Veterinary Medicine in Exotic Companions 2003.1(2):80-85. 雄フェレットの尿道カテーテル留置法：新しい方法（Veterinary Medicine in Exotic　Companions 2003.1(1):88-90.